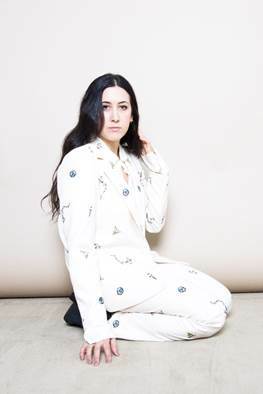 Vanessa Carlton is coming to Evanston to perform at SPACE on Nov. 11. Carlton released a new album, “Liberman,” on October 23. Vanessa Carlton, the voice behind the popular 2002 hit “A Thousand Miles” is performing in Evanston at SPACE, 1245 Chicago Ave., on Nov. 11. She is back on tour after releasing her fifth studio album, “Liberman,” on Oct. 23. Before starting her tour, Carlton spoke to The Daily about it, her life since her original hits and how her music has changed. The Daily: What excites you the most about your new album? Carlton: I’ve been sitting on this album for a long time, so I’m excited that it’s finally coming out. I think it’s one of my favorite projects I’ve ever worked on and, so, I’m really looking forward to having people listen to it other than, like, my friends and immediate family and collaborators. The Daily: What about your upcoming tour? Carlton: Just getting out there and reconnecting with the audience, people that come to the shows now, I mean, some people just kind of do it out of curiosity because they’re like, “Oh, I wonder who that girl is from that one song?” but to be honest, most people have been following me and I’ve kind of been able to take them along on my little journey on whatever I’ve been doing the past eight years, and they’re, like, die-hards. It’s really cool to reconnect with those people in a live setting because it’s energizing. It makes you want to do more work and I think it’s definitely a trust thing as well, between the audience and the performer. The Daily: How has your music changed since your original hits? Carlton: The sound is much more mellow and I think this particular record is my dream record, meaning that I want it to really feel like a dream. I want it to feel like you’re in another dimension, a little spacier, more chilled out, more lush, and not so raw and earnest and live. The sound and the songs are very different. The Daily: What made you change to that more mellow style? Carlton: It’s just what I love. It’s the type of music that I listen to, but I think it’s kind of a concept. I really wanted it to feel like the type of record that you listen to with headphones, and you know, walking around listening to music with headphones on is so meditative, so I really was inspired by some of the records that I listen to that are like that, and some of it is electro pop too, but I think this is its own sound for sure. I don’t know what you would compare it to, but I really wanted to achieve that kind of escape, that meditation if you will, as a record. The Daily: What is the setlist like for this tour? Carlton: It’s mostly the new record, but I will really put songs in from past records, like the ones that people know and love. A lot of the set will be what we love to play the most because I think that’s when the musicians are happiest on the stage for sure. We know kind of the stuff that people want to hear and I don’t want to disappoint anybody. The Daily: What’s exciting about coming to Evanston, with a college town audience? Carlton: I love Chicago … We always have great shows in that area. I always like to play for students, for sure. The Daily: What were some of your other influences in your early music? Carlton: My mom is a pianist and she was my first piano teacher. I would say most of my early influence, in terms of what I played when I was young, comes from classical music. I learned a lot of Mozart and Grieg … I think a lot of my aesthetic, even to this day, pulls from that early training, classical training. The Daily: What have the last few years been like? Carlton: The past couple years have been really amazing. I moved to Nashville. I got married. I had a baby. A lot of change, but a lot of feelings of stability and I love living in Nashville. It’s been really a rejuvenating time for me personally. My baby’s nine months old now, so I feel like I can take a shot at going, you know leaving, and seeing how the whole touring thing works out, you know, now, see how I can do it even with a baby. We’ll see what happens. It’s an experiment.